It’s hard to believe, but Thanksgiving is this Thursday. Where did the year go? 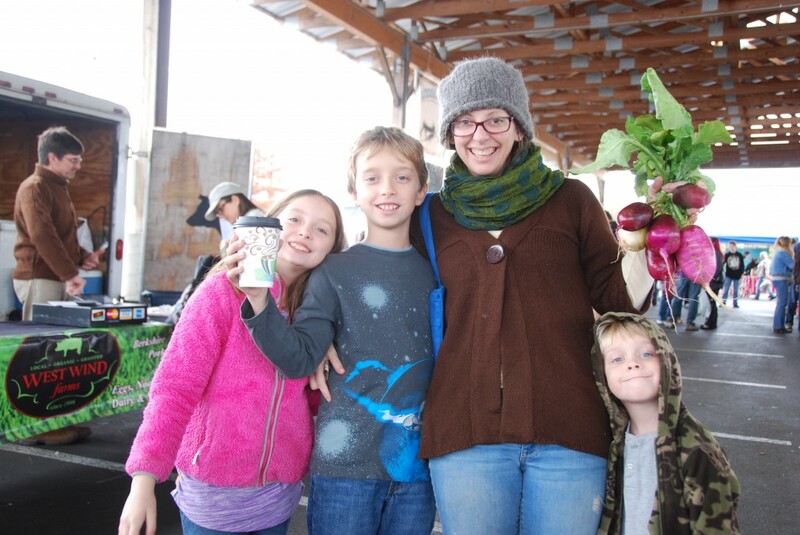 We have to say, that 2013 has been a good one for us at the Franklin Farmers Market. 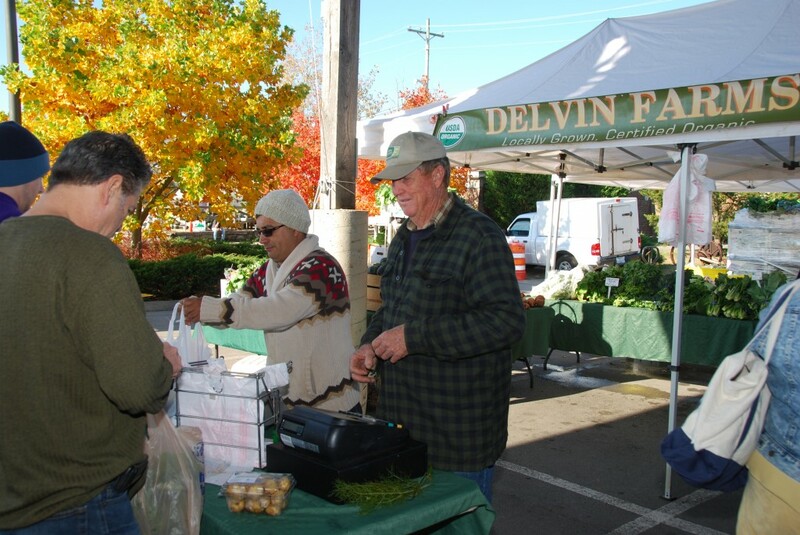 Lots of longtime customers and just as many new ones have visited the market this year helping to keep our local farms productive. When the market first began, there were only 8 farms participating. Now over 70 during the course of the year are part of the market and that’s because of you. 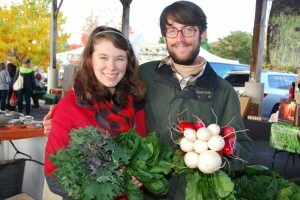 This Thanksgiving, we give our thanks for your loyal support of local farms. 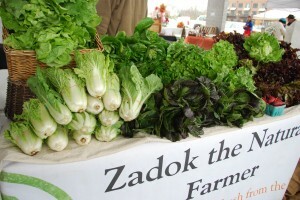 Even the very cold weather this past Saturday didn’t keep people away from the market. Everyone was picking up goodies for Thanksgiving dinner. You should have seen the crowds at the Peaceful Pastures and West Wind Farms booths, as people lined up to get their turkeys. 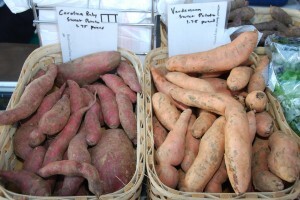 Sweet potatoes and pecans were being snatched up, along with butter and cream from Hatcher’s Dairy to use in turkey day desserts. Speaking of turkeys, that wasn’t the only meat being picked up for Thanksgiving. Chickens were flying , so to speak, out of the market. 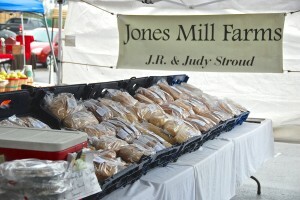 Fresh rolls and breads from Jones Mill Farms were also high on the Thanksgiving shopping list, along with desserts from Norton Family Farms. 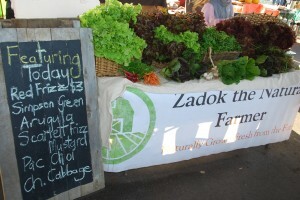 The greens that Rocky Glade Farm and Zadock the Natural Farm were very popular too. 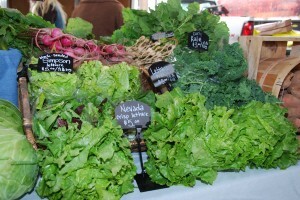 Overall the market was full of winter veggies to make Thanksgiving dinner top of the class. 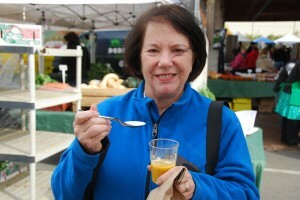 By the way, did you get a taste of the Roasted Butternut Squash Soup at the market? It’s a recipe in the market’s “Eating in Season” cookbook and samples were being handed out at the cookbook booth. The “Eating in Season” cookbook is great for your kitchen, but it also makes a great holiday gift. 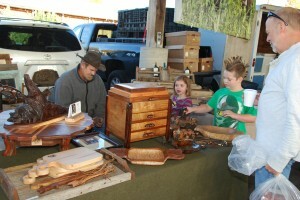 There were people buying cases of the cookbook for stocking stuffers and office gifts this past Saturday. 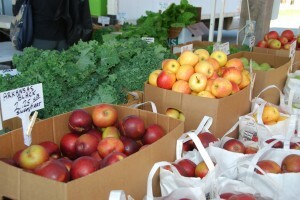 Something else we are thankful for at the market is the generosity of our customers. Even though the Love Will Keep Us Warm blanket & coat drive doesn’t start until November 30th, several people brought blankets, coats and winter clothing to donate at the market this past Saturday. You can help out those in need stay warm this winter by donating gently-used or new blankets, coats and winter clothing at the market during the charity drive. 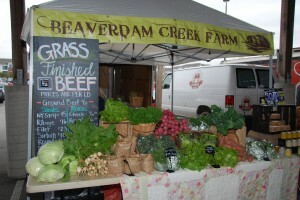 Just look for the drop-off tent next to the market Info booth at the front of the market. We’ll be collecting the blankets, coats and winter clothing on this upcoming Saturday (November 30th) and on Saturday, December 7th. 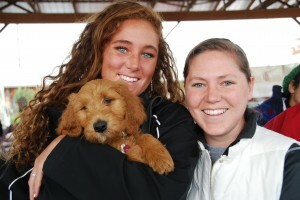 What a cute, cute Labor-doodle Puppy! 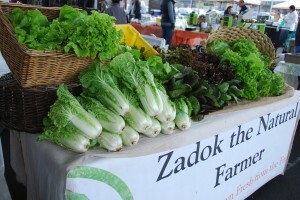 And finally, this is the last week to tell us whether dogs should stay or go at the market. Many of you want dogs to continue to be allowed at the market, but it seems that just as many want the dogs to be banned from the market because of sanitary and safety issues. What do you think? 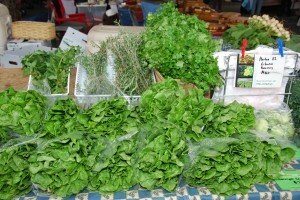 Send an email to lisa@franklinfarmersmarket.com or stop by the market info booth this upcoming Saturday and let us know what you think. This entry was posted in Market Saturday News and tagged Baked Breads, butter, chickens, cookbook, Deserts, Eating in Season cookbook, Franklin Farmers Market, Hatcher's Dairy, Jones Mill Farms, local farms, Norton Family Farms, Peaceful Pastures, pecans, produce, sweet potatoes, Thanksgiving, Thanksgiving Turkey's, turkey day deserts, West Wind Farms, Zadock the Nature Farmer on November 25, 2013 . 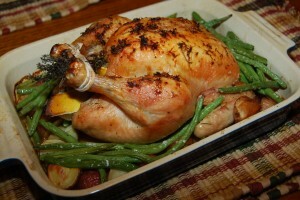 Thanksgiving gives us the chance to eat ourselves silly, with a big spread of delicious food. So get ready to pig out! 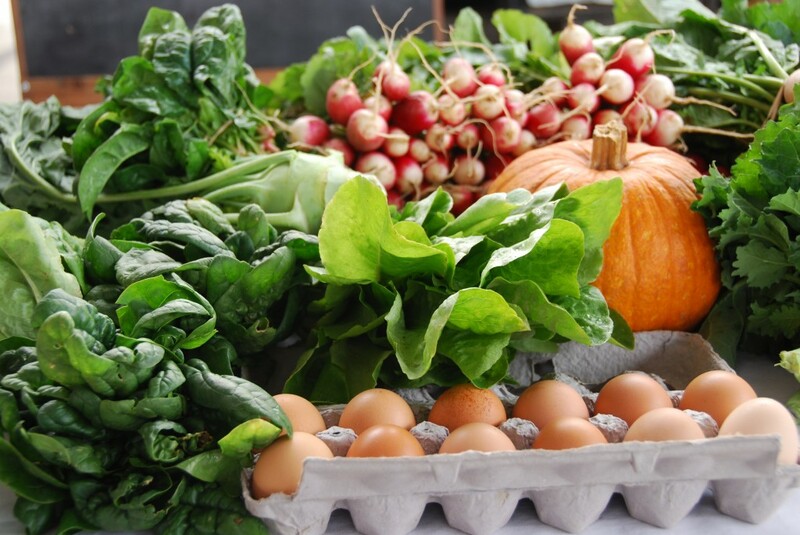 Make those yummy holiday recipes with healthy fresh produce, meats and dairy from the Franklin Farmers Market and you’ll feel a little less guilty about stuffing yourself this Thanksgiving. Triple L Ranch great tasting hen right out of the oven! Here’s a handy shopping list of some of the goodies you’ll find from the farmers at the market this Saturday to create the best Thanksgiving dinner ever. 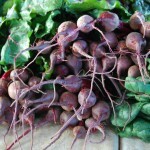 Beets – delicious roasted with honey! 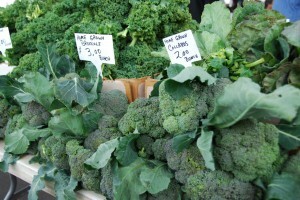 Broccoli – a broccoli casserole hits the spot. 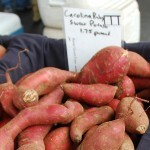 Sweet Potatoes – sweet ‘tater casserole is a must! 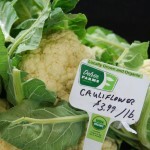 Pick up fresh cheese at the market. Moonshadow Farm has delicious varieties of Kenny’s Farmhouse Cheese and Noble Springs Dairy has fantastic goat cheese in different flavors. Hatcher Family Dairy Farm has the milk, cream and buttermilk you need for your recipes and the kids would love some Hatcher chocolate milk with Thanksgiving dinner. Don’t forget the eggs you need for special Thanksgiving desserts. 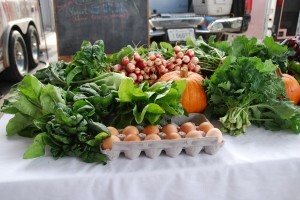 Moonshadow Farm, River Cottage Farm, Gardners Grove and Triple L Ranch are just a few of the farms with fresh eggs at the market. Who says you have to eat turkey on Thanksgiving? 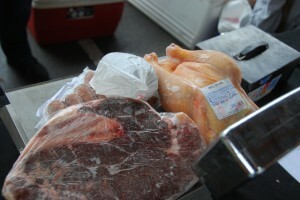 From chicken to beef or ham, you can find the meat you want at the market. 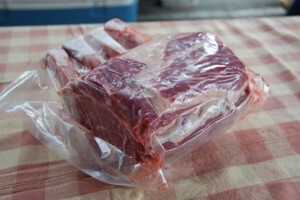 Check out Triple L Ranch, Bear Creek Farm, West Wind Farm, Peaceful Pastures, River Cottage, Gardner Grove and Beaverdam Creek Farm for the cuts of meat you want. 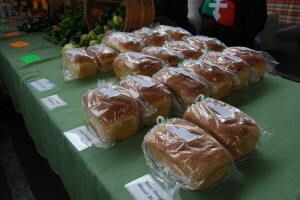 Johnson’s Honey Farm and Pilgrim’s Produce have the honey you need to spread on fresh rolls. 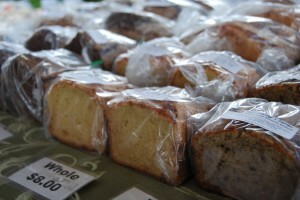 And if you don’t feel like doing all the baking, you can pick up delicious breads, pastries, cakes and more at the market. 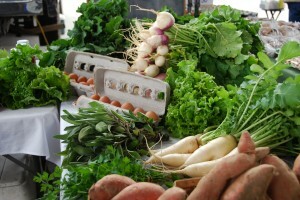 Norton Family Farm, Lucy’s Kitchen and Jones Mill Farms have what you need. 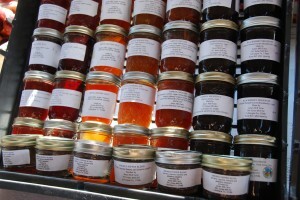 Jams, jellies and preserves can be found at the market too. So go ahead…. Eat it up! 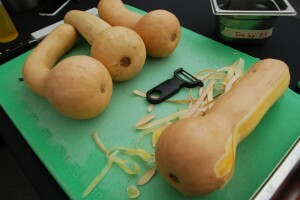 Happy Thanksgiving from the Franklin Farmers Market. Rocky Glade at your service! 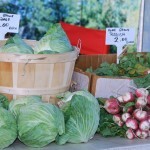 This entry was posted in Market Saturday News and tagged Bear Creek Farm, Beaverdam Creek Farm, beets, broccoli, cabbage, carrots, cauliflower, Celery, Chard, Chives, Franklin Farmers Market, Gardner Grove, greens, healthy fresh produce, holiday recipes, jams, jellies, Jones Mill Farms, Leeks, lettuce, Lucy's Kitchen, Moonshadow Farm, Mushrooms, Norton Family Farm, Onions, Peaceful Pastures, potatoes, preserves, radishes, River Cottage, Shallots, sweet potatoes, Thanksgiving, Triple L Ranch, Turnips, West Wind Farm on November 21, 2013 . What happen to the sunshine and 60-something degree weather that was forecast? 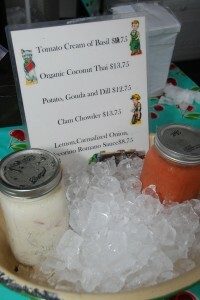 No matter, we still had good food at the market last Saturday. 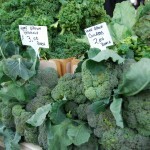 Broccoli and winter greens; carrots, radishes, turnips and lettuce were plentiful. 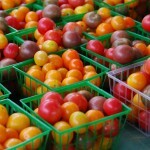 We even came across a few cherry tomatoes from Delvin Farms. 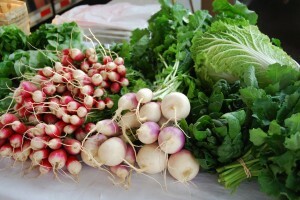 Turnip Greens, Radishes, Sweet Potatoes, Butternut Squash and so many winter greens! 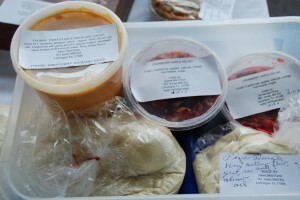 Lucy’s Kitchen and Jones Mill Farm had delicious varieties of soups and great fresh breads… the perfect winter supper! 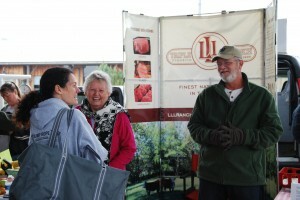 Triple L Ranch provides local farm Beef, Chicken and Sausages right off the farm. Check the calendar. It won’t be long for before the holidays arrive and you know what that means… lots of yummy sweets! 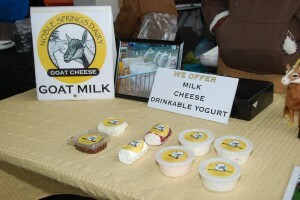 One of the biggest hits at the market Saturday was Noble Springs Farm’s new goat cheese fudge. 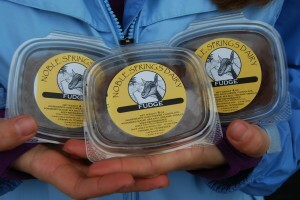 That’s right… goat cheese fudge and boy, is it sweet and rich with chocolate. 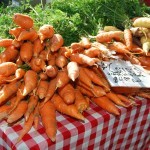 It was a full house at the market. 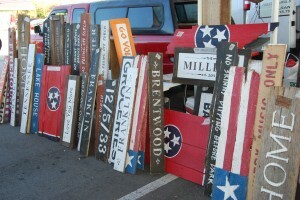 Besides all of the farms, there were quite a few artisans with unique crafts that would make the perfect Christmas gift. 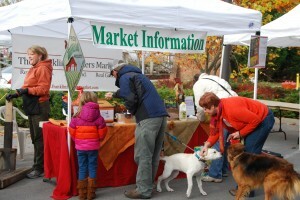 A lot of people were stopping at the info booth to let us know what they thought about having dogs at the market. Hundreds of you have filled out the dog survey form or emailed your opinions on whether dogs should be allowed or banned at the market. 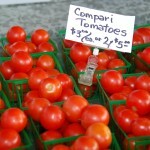 One of the biggest complaints about having dogs at the market is about sanitary concerns, while others say they’ve never seen any dogs relieving themselves in the market. Unfortunately, we found out first hand on Saturday that it does happen. While a customer was at the market info booth filling out the survey form, her dog decided it was a good place to potty! We love dogs, but there are some issues with having them at market. How can we solve them? You’ve got until November 30th to tell us whether dogs should be allowed or banned from the market and give us your ideas of what else could be done. Either stop by the market booth to fill out the survey or send an email to lisa@franklinfarmersmarket.com and let us know what you think. A decision on the dogs will be announced the first week of December. And we also had a lot of people asking this past Saturday about the blanket, coat and winter clothing drive that will be taking place at the market soon. The Franklin Farmers Market is happy to be a part of the “Love Will Keep Us Warm” charity drive to help those in need stay warm this winter. You can drop off your donation of gently used or new blankets, sweaters, coats, hats and more at the market on November 30th or on December 7th . If you are unable to bring your donation to the market on those dates, you can visit other drop off locations on different dates in Rutherford and Williamson Counties. For more information, email dottie@mixtapeanthology.com or norabp78@yahoo.com . Share the warmth! 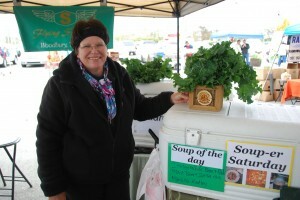 You can visit pictures from this past Saturday’s market by clicking here. 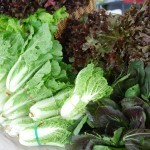 So much beautiful produce in the market now! This entry was posted in Market Saturday News and tagged broccoli, carrots, cheese fudge, cherry tomatoes, chocolate, Delvin Farms, fresh breads, Homemade Soups, Jones Mill Farm, lettuce, Lucy's Kitchen, Noble Springs Farm, Nutritious Family Meals, radishes, soups, Turnips, winter greens, Winter Vegetables on November 17, 2013 . 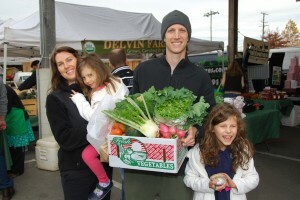 Market Customers Enjoying New Winter Vegetables for Home Cooking! 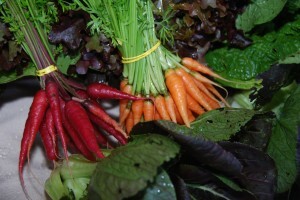 You know how we been saying that winter vegetables are good to eat and tasty too? 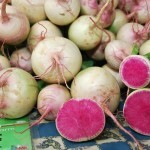 That you should try different recipes to see how good veggies like turnips, beets, cabbage and squash can really be? 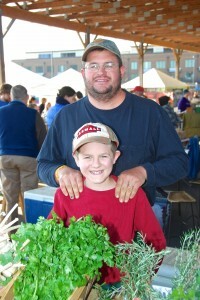 Well, we proved our point this past Saturday at the market with help from Chef Vinny of Saffire. With a mixture of butternut squash, maple cream, fried sage and other delicious ingredients, he created a warm winter soup that was literally lip-smacking good. 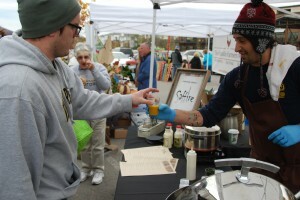 Chef Vinny giving out free samples! 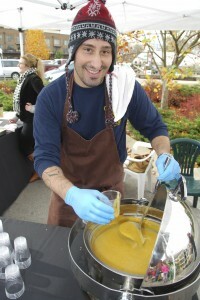 Chef Vinny’s butternut squash bisque went so fast, he had to quickly create another pot of it. Saffire is well known for the mouthwatering dishes served there and now we know why. 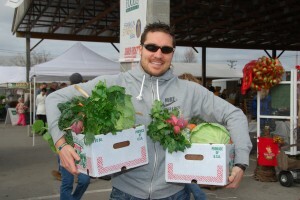 Chef Vinny will be back at the Franklin Farmers Market this winter to prepare another scrumptious dish featuring winter veggies. 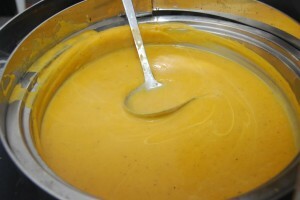 You can get his butternut squash bisque recipe on Saffire’s facebook page. Yes, it is Yum! Yum! Good!!! 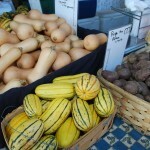 And pick up a copy of the market’s “Eating in Season” cookbook for lots of delicious recipes, including our own version of Roasted Butternut Squash Soup. 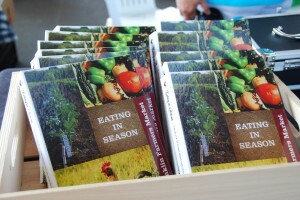 You can pick up Eating in Season at our special cookbook stand or at the market info booth every Saturday. We asked for you to tell us how you feel about dogs at the market and you’ve been doing some big talkin’. Hundreds of you have emailed or filled out our survey form at the market to tell us whether dogs should be allowed or banned at the market. With big crowds and lots of dogs at the market, there are concerns over sanitary and safety issues that affect not just people but dogs too. What do you think? Through November 30th, you can express your opinion and suggestions on dealing the dog issue. 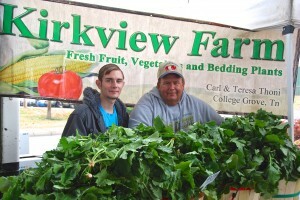 Just email lisa@franklinfarmersmarket or stop by the market info booth on Saturdays. The market board will announce their decision the first week of December. The chilly weather at the market and the forecast for snow flurries later this week made us think about the holidays which are fast approaching. Thanksgiving is just about 3 weeks away and shortly after that, the big man with the white beard and reindeer will be showing up. 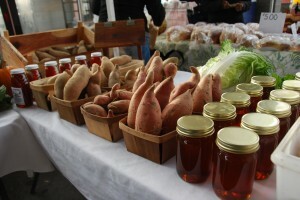 The market is the place for delicious food and unique gifts for loved ones. 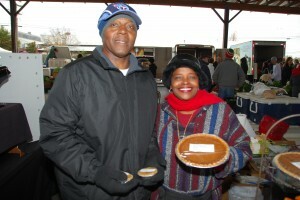 But this holiday season, it’s also the place to give to those who need your help. 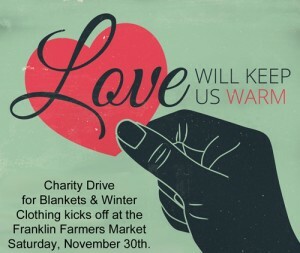 Beginning the Saturday after Thanksgiving, November 30th, the Franklin Farmers Market will kick off the “Love Will Keep Us Warm” charity drive to collect blankets, coats, scarves, gloves and more to keep those in need to protected from winter’s cold weather. Maybe you have a coat you don’t wear anymore or a blanket that’s been tucked away in storage for a while. Donate them and keep someone warm for the winter. 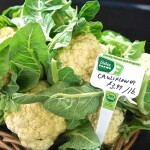 Watch for more information on our website and in the market’s ‘farm fresh’ newsletter soon. 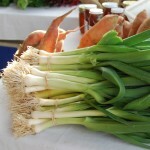 This entry was posted in Market Saturday News and tagged beets, butternut squash, butternut squash bisque, cabbage, Chef Vinny, delicious recipes, Eating in Season cookbook, Franklin Farmers Market, fried sage, maple cream, Saffire, Turnips, Vegetables, veggies, warm winter soup, Winter Vegetables on November 11, 2013 . 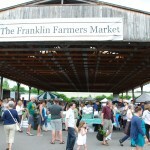 Should Dogs be allowed at the Franklin Farmers Market? 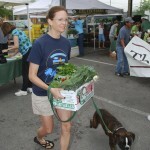 Since it began in 2002, the Franklin Farmers Market has allowed customers to bring their dogs with them to the market. 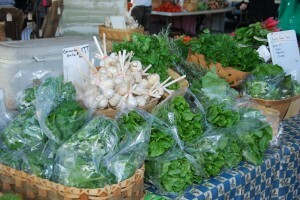 The market was much smaller then and crowds were not an issue. 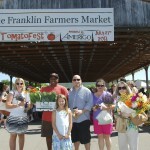 But the Franklin Farmers Market has now grown into one of the largest farmers markets in the state. The number of people visiting the market each Saturday has skyrocketed and so has the number of dogs that come with their owners. 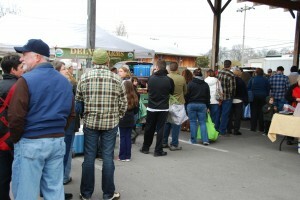 It gets pretty crowded under the market shed with people, dogs and little kids. The number of people voicing concerns over sanitary and safety issues with the pets has risen substantially this year. 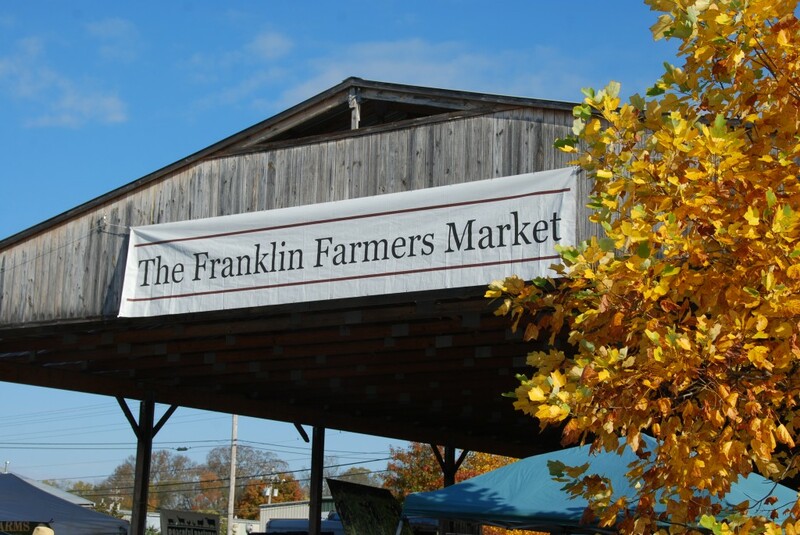 The Franklin Farmers Market board has been debating what to do about the problems with the dogs and have now decided that the best course of action is to ask what you think about the problem. 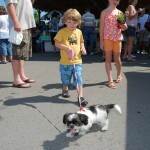 Do you bring your dog to market? 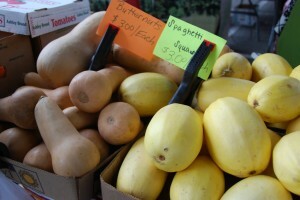 Should dogs be allowed at the Franklin Farmers Market or should they be banned? Tell us what you think. For the next three weeks, we will conduct a survey to find out what you think about the dog issue. You can fill out a comment form at the market’s info booth on Saturdays from 8am – noon or send an email to voice your opinion to lisa@franklinfarmersmarket.com .The board of the Franklin Farmers Market will discuss the results and suggestions from the survey and announce a decision on the dog issue the first week of December. This entry was posted in Market Saturday News and tagged Dogs, Franklin Farmers Market, info booth, survey on November 8, 2013 . 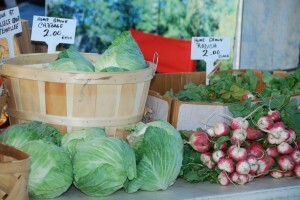 What a beautiful fall day at the market! 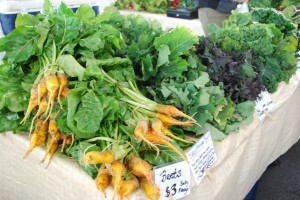 Last Saturday was perfect for strolling around and picking up tasty fresh cool weather veggies at the market. 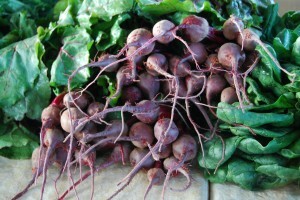 A lot of delicious sweet potatoes, greens and root vegetables, like beets, turnips and carrots could be found. 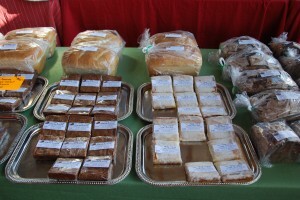 And the fresh baked goods were lip-smacking good. 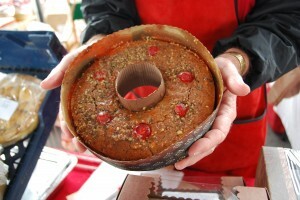 Holiday sweets are sneaking into the market too. 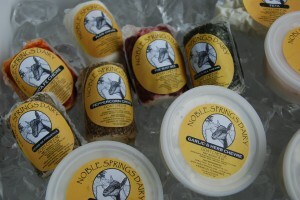 Rumor has it that Noble Springs Dairy has created goat cheese fudge that is a fantastic experience for your taste buds. 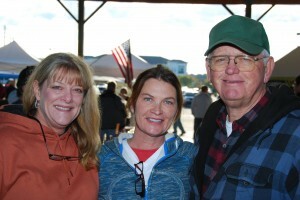 It was a good day for socializing too, with friends and farmers. 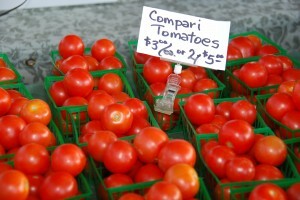 A lot of folks made a point to welcome Paradise Produce back to the market. Stacy Gentry got married and took a year off to settle into married life. He and his lovely wife Sonia were at the Paradise Produce booth with beautiful vegetables. 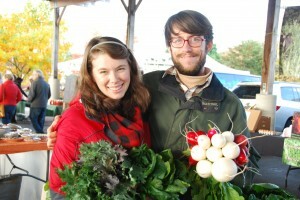 It was her first time working at the market with her new husband and it paid off…. They sold out of everything! You can visit all photos from Saturday here. We asked a question before Saturday about whether dogs should be allowed at the Franklin Farmers Market or if they should be banned. 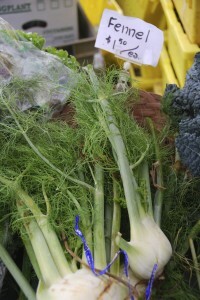 And a lot of you had something to say about it while at the market. In fact, we ran out of the survey forms about dog issue at the FFM info booth. Some of you were quick to say that dogs were a big reason why you like to come to the market, while others told us the dogs shouldn’t be allowed because the large number of canines and big market crowds just didn’t mix too well. 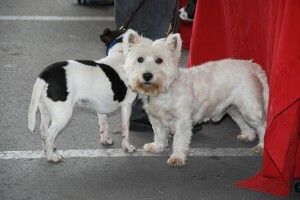 This past Saturday, quite a few dogs came with their owners to the market. And while most were well-behaved, there were still a few that relieved themselves inside the market shed or growled at other dogs that were there. We really love dogs. But concerns over safety and sanitary issues keep growing, so we’re asking for your help in deciding whether dogs should stay or go. Tell us what you think. You can take part in our survey about the dogs by either stopping at the market info booth on Saturdays or emailing your thoughts to lisa@franklinfarmersmarket.com . We’ll be conducting the survey through November 23rd. 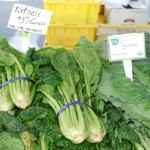 There were two other big questions at the market this past Saturday that people kept asking. The first one was “when does the market close down for the year?” It doesn’t. 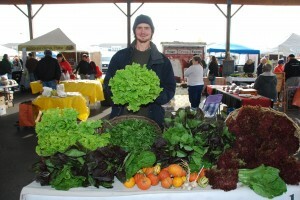 The market goes year-round, so the farmers will be here with fresh winter produce all through the winter season. 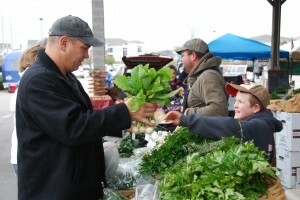 The other question was “what time does the winter farmers market open and close?” Normally, the winter market begins at 9am. 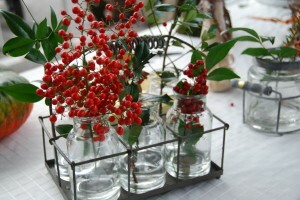 But we want to give you more time to shop the market, especially for holiday food and gifts. 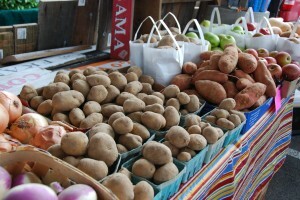 So November through December, the market is open every Saturday from 8am – noon. 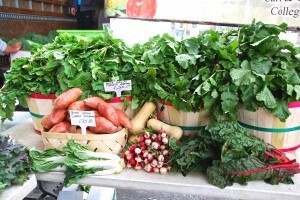 In January, the winter market hours will change to 9am-noon. 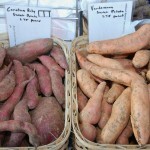 This entry was posted in Market Saturday News and tagged beets, carrots, Fall Vegetables, farmers, Farmers Market, FFM, Franklin Farmers Market, fresh baked goods, gifts, goat cheese fudge, greens, holiday food, holiday sweets, market shed, Noble Springs Dairy, Paradise Produce, Stacy Gentry, sweet potatoes, Turnips, Vegetables, veggies, Winter Farmers Market, winter market, winter produce on November 4, 2013 .